Step inside and enjoy looking at the wonderful pictures of Baska - just a foretaste of your holiday in Baska on the island Krk, Croatia. On our page you will find useful information about apartments for your accommodation in Baska. There is also a wealth of information on events and restaurants in Baska, selection of photos of Baska, Krk, Croatia, tips for the journey and prices. 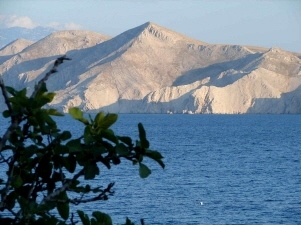 If you would like to spend your vacation in Baska on the island Krk, you can reach us via contact form or by email. The offered apartments had been carefully selected and visited by us and met the very strict criteria we set. 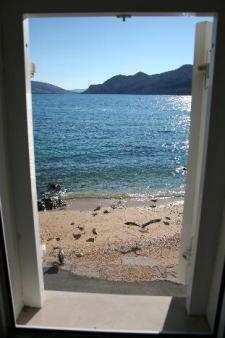 The apartments are in Baska on the island Krk, Croatia and are located near to beach and old town. All apartments are categorized with three stars from the Croatian Ministry of Tourism. The most of them are equipped with air conditioning system and SAT TV and belong to the best in their class. A lot of apartments have a nice garden and are family friendly and child friendly. The apartments are completely furnished and have a well equipped kitchen. The accommodation price includes rent, electricity, water, bedding, towels, air condition and final cleaning. Once a week the bed linen and towels are changed. In some houses there are two or several apartments and therefore they are suitable for several families. Dogs (pets) are allowed in some apartments. This information is specified in the particular description for each apartment. Please refer to apartments' descriptions to get more detailed information for each apartment. If you have any questions about a particular apartment, please contact us by email.